20 events scheduled from Northland to Otago! Read more and register here. Go to the About page for an overview of the topics Stefan will be covering at the workshops. Note: if you have any trouble accessing the registration page you need, please use this link. Mar 11 1:30pm-2:30pm Waiheke Talk: Developing Te Huruhi Primary school’s fruit tree plantings into diverse polyculture. Mar 14 11:30am-12:15pm Birkdale Stefan will visit and offer a short talk about the ideas behind the Permaculture Orchard film at the opening event of the Eco-Fest 2015. Mar 15 10am – 4pm Matakana All about Local Food – Matakana Village Hall. Enjoy a range of juicy dialogue and multiple speakers and stalls at this day long event. Read all the details and register. Mar 18-19 9am – 5:30pm Bay of Plenty Workshop (Choose 1 or 2 Days): Conversion of an existing monoculture Nashi Pear Orchard to a diverse polyculture. Mar 22 9am – 5:30pm Otaki Workshop: The Windsor Park Orchard of Jacinta and Jermiah near Otaki, will be the backdrop for learning about design and systems thinking in a small scale commmerical orchard. Along with Stefan Sobkowiak, Bena Denton & Daniel Woolley, Gary & Emily Williams and James Samuel will be contributing to this one day workshop. Mar 24 9am – 5:30pm Wairarapa Workshop: An opportunity to witness a large scale project (50 acres) and learn from skilled designers. Hosted by Gary Williams and Stefan Sobkowiak at James Cameron’s Pounui farm, this workshop will be one to write home about! Mar 27 9am – 5:30pm Motueka Workshop: Design a permaculture orchard. The Pear and Organic Kiwifruit Orchard, ‘Walnut Farm’ of Doug & Maree Satherley will be the backdrop for learning how to move from a single species orchard to a polyculture orchard. 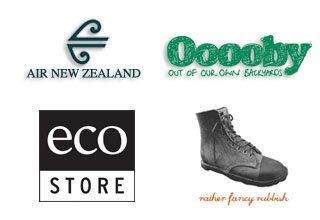 Read more and register Beyond Organics film night: Jester House, Tasman – March 12th (7pm – 9pm). Mar 29 2pm – 5:00pm Christchurch Stefan will show a segment of the Permaculture Orchard film, then offer a short talk and field questions. James Samuel will share some of the latest developments in urban food. Then local practitioners and visionaries in the food resilience space, will speak about their projects, before the signing of the Food Resilience Charter. In association with A Brave New City.Venue: WEA, 59 Gloucester St. Suggested Koha $10. Stay to share some of the locally grown food if you can. Apr 1 10am – 2:30 Dunedin Workshop: Habitate Nursery – The focus will be fine tuning of an up and running organic market garden / orchard and nursery: Economics and systems design. This half-day workshop is ideal for small scale organic producers, lifestyle-block owners, and keen section owners. Read more and register. Apr 3 9am – 5:30pm Coastal Otago Workshop (1-day): The focus will be small block orchard design at this recently acquired and beautiful property close to Palmerston. Apr 5 9am – 5:30pm Central Otago – Hawea Flat Workshop (Day 1): Day one of this two day – two location workshop will take place at the site of the Hawea Flat Domain Food Forest.Read more and register for this day, or this day and the Arrowtown workshop. Apr 6 9am – 5:30pm Central Otago – Arrowtown Workshop (Day 2): The existing organic and permaculture-inspired orchard of Juliet Pope in Arrowtown will be the backdrop for learning about design and systems thinking in small scale organic enterprise. Read more and register. I might be in or near Dunedin 1st April – will note details of that day. Maybe next time, if Stefan comes back in 2017. If you’re looking for a early taste of harvest and can get to Riverton this weekend, come to the Heritage Harvest festival – apple press, food-forest tours, Mark Christiansen talking, “Around the world in 80 plants” author, Steven Barstow on perennial food plants, Sharon Leopardi on Back-yard Urban Farming, Bill Blair on trug-making, and various local speakers and producers with hurdle construction, cider-tasting, bread and cheese making, preserving – and much, much more. Country Calendar are filming the festival, so wash your face and comb your hair before you arrive and be prepared for lots a talk – the presenters and stall-holders, festival-goers and organisers are all passionate people and looking to share their stories. There’s a Harvest Feast on Saturday night where we all compete fiercely for the title of Champion of the Harvest. Here’s a link to the article in today’s Southland Times. All very welcome!